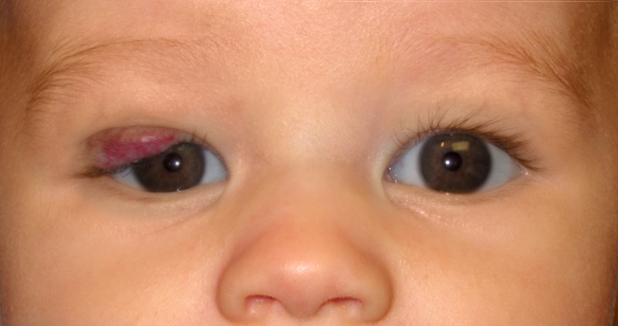 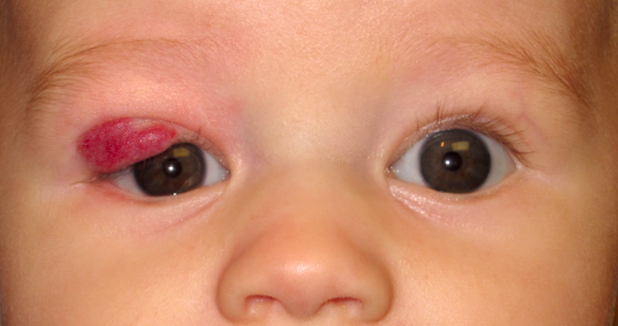 Capillary haemangioma are clinically evident within the originally 6 months after birth. 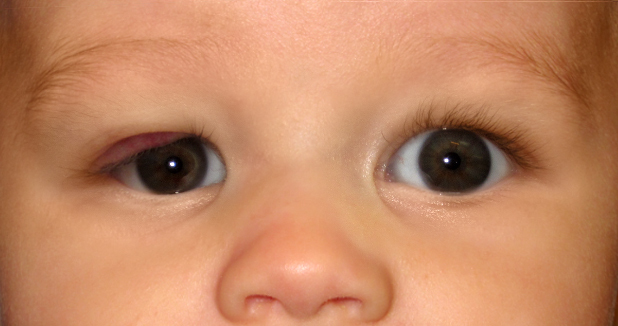 A third of the cases are seen at birth, and over 9 out of 10 cases are seen by 6 months. Lesions that involve just the skin (also called cutaneous haemangioma) appear as a red, elevated nodule, while lesions that extend under the skin (subcutaneous lesions) are darker. 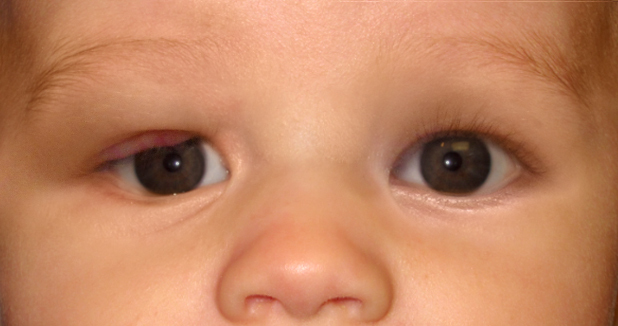 In advanced cases involving the orbit, the eyeball might possibly protrude out. 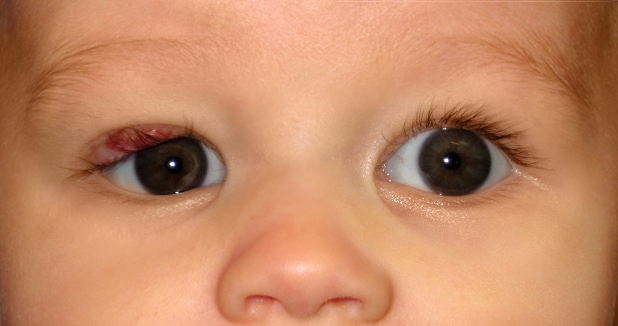 This is called proptosis.